We have been in business since 2011. We are constantly growing, and really enjoy helping clients with their vehicles. Why can't you always provide me with an estimate when I call for one? We would love to give you an estimate over the phone but sometimes it is a disservice to you to do a "phone estimate". Many times we have found people are trying to compare prices with other shops for a needed maintenance or repair. There can be many options that a vehicle can have that will change the price of the estimate. We have found many times that our competitors are trying to "sell" services and repairs that may not be needed, or they have misdiagnosed the problem. Proper diagnostics need to be done on your vehicle before an accurate estimate can be given. The best thing you can do is bring your vehicle by and let one of our BMW certified technicians take a look at your vehicle. Please try to avoid becoming a victim of the classic "Bait and Switch." Remember, cheapest price will not give the best service or warranty! How can you claim to provide better than dealership service, aren't they the true experts on my vehicle? 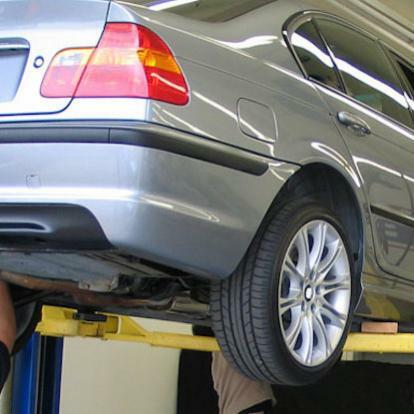 ABR Houston hires only the best BMW certified technicians to service and repair your vehicle. We subscribe to BMW specifically as an independent, along with a number of professional data bases to get the latest diagnostic information, Technical Service bulletins, and fault pattern trends. We use parts that have been "redesigned" to prevent future issues that the part had when made by the manufacturer. Dealerships hire from the same pool of technicians that independent shops do and because their pay scale is usually lower than ours, we are able to attract and keep the most talented of technicians. Most of our Technicians have various levels of factory training. Because we are so confident in our services, we give a longer warranty that the dealer provides on their services. Why are your fluid flushes price slightly higher than the local Quick-lube? Great Question! At ABR Houston, we use the very best fluids available, based on BMW's specifications and our experience. Quick-lubes and even the dealer (!) use aftermarket fluids to increase their margin- but who are they looking out for? You or their pocket book? We always have you and your vehicle in mind. Of course! We have a nice waiting area, and a friendly shop dog that loves scratches behind the ears.. It's stocked with fresh coffee, hot chocolate, tea, snacks and water. We provide internet access and have a Roku or Google Chromecast for viewing pleasure.. If your vehicle requires to stay in the shop for longer than you have to wait, feel free to coordinate a ride, Uber, or rental car from Enterprise right down the street from us. If I have my vehicle maintained at ABR Houston, can that void my factory warranty? No. Preventive maintenance on today's vehicles is very important, especially on new vehicles. If you have a new vehicle still under factory warranty, there is great news! You can take all of your vehicles to one location for service and your factory warranty will remain in effect. How so? Simple, it's the law. In 1975, the U.S. Congress passed the Magnuson-Moss Warranty Act - a federal law that governs consumer product warranties. Among other things, Congress wanted to ensure that consumers could get complete and straightforward information about warranty terms and conditions. Generally, your vehicle manufacturer's warranty cannot require you to return to your auto dealer for vehicle maintenance-or to only use the brand of replacement parts offered by that dealer. By law, your vehicle manufacturer's warranty will stay in effect when you have regularly scheduled maintenance performed at a qualified facility, like ABR Houston, that uses appropriate parts and procedures. Additionally, we are a Carfax certified shop, so all maintenance and repairs will be reported to them. Doing this will fortify your history of your vehicle and will reinforce your resale value with documented maintenance. The bottom line is that your warranty on your new vehicle stays in effect when a qualified Service and repair facility, such as ABR Houston performs preventive maintenance.